No home library is complete without the classics! The Adventures of Sherlock Holmes is a keepsake to be read and treasured. 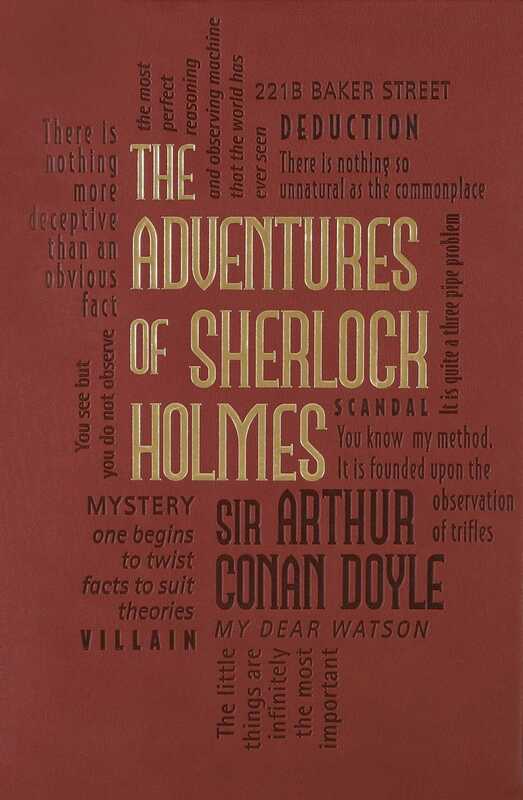 The Adventures of Sherlock Holmes, a collection of twelve short stories by Scottish author Arthur Conan Doyle, is considered a milestone in the genre of detective fiction. With Sherlock Holmes’s clever disguises and ability to solve even the most elusive mysteries, as well as Holmes’s loyal friend and biographer, Dr. Watson, who narrates most of the stories, Doyle’s suspenseful stories and well-developed characters keep readers on the edges of their seats. Now available as part of the Word Cloud Classics series, The Adventures of Sherlock Holmes is a must-have addition to the libraries of all classic literature lovers. Arthur Conan Doyle (22 May 1859 – 7 July 1930) was a Scottish physician and writer, most noted for his stories about the detective Sherlock Holmes, which are generally considered a major innovation in the field of crime fiction. He was a prolific writer whose other works include science fiction stories, historical novels, plays and romances, poetry, and non-fiction.